A cascade of laws and regulations, plus vigorous government enforcement, has also upgraded the nature of the compliance function. Consequently, candidates armed with law degrees are viewed very favorably by employers seeking compliance professionals. 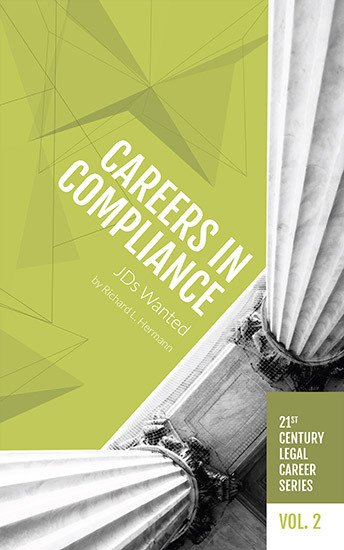 Investigate a field in which Richard Hermann says intense demand opens doors to both experienced practitioners and law students with no prior compliance experience in Volume 2 of the 21st Century Legal Career Series, Careers in Compliance: JDs Wanted. Buy the print edition at the NALP bookstore or the electronic version at http://www.amazon.com/dp/B071Z52QZP.